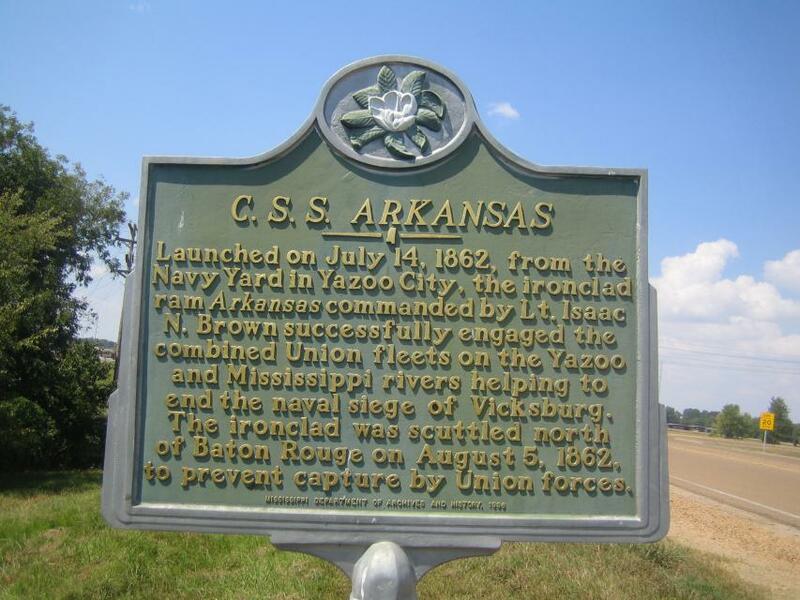 Launched on July 14, 1862, from the Navy Yard in Yazoo City, the ironclad ram Arkansas commanded by Lt. Isaac N. Brown successfully engaged the combined Union fleets on the Yazoo and Mississippi rivers helping to end the naval siege of Vicksburg. The ironclad was scuttled north of Baton Rouge on August 5, 1862, to prevent capture by Union forces. This marker can also be identified by its HM code. You can use the hashtag #HM1GP9 in tweets, and any other place where you might refer to this marker, including when searching on this site.